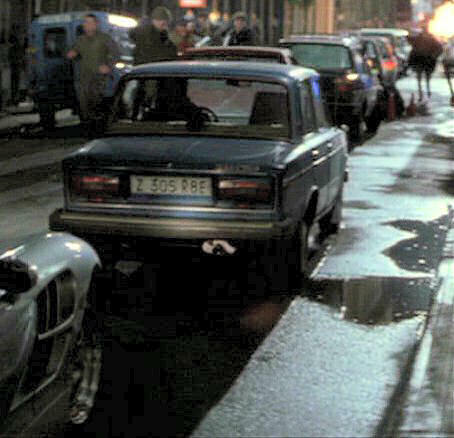 IMCDb.org: 1983 Lada 1600 GLS [2106-37] in "Rollerball, 2002"
Citroen 2CV AK in the background (blue van on the left)? Doesn't it look a little too "square" for that? Should have [2106-37] as chassis/code - Canadian Version.